Pictured above: Park setting in one of America&apos;s best educated towns, Oak Ridge, Tennessee. Today&apos;s main stories were wonderful serendipity. A friend asked us to attend an informational meeting about a virtual retirement community being formed in Branford, CT. It was most interesting. Then an article came across our desk from the Center for Retirement Research at Boston College on "buying" an annuity from Social Security. Turns out it&apos;s an incredibly good idea for some folks. It seems like a crazy idea, but it&apos;s not. The idea is to use your savings as a way to delay taking Social Security, a tactic which in effect "buys" you an annuity. You&apos;ll end up with an "annuity" in the form of a higher, inflation protected benefit. The Manhattan Project was hidden away here in WW II, and now the town has Oak Ridge National Laboratories. That employer has helped it gain its "brainy" status - 18% of the populace has an advanced degree. 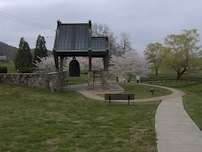 There&apos;s great outdoor recreation and Knoxville is nearby too. Click on a state to see reviews of 838 great retirement towns, plus capsule summaries of 1,756 active adult communities. There have to be more people who want to continue living in their current homes in retirement than those who want to move. But how to do that in the face of the challenges our increasing age presents - like getting to appointments, getting health advice, putting up storm windows, making home repairs? The answer is the Retirement Village - a virtual cooperative village that can keep you in your house, and out of assisted living. 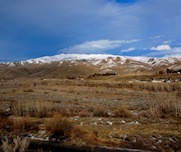 About 10 miles west of Boise is the fast growing town of Meridian. Home to a diverse economy, its mountains make it another outstanding place for people who love the outdoors. Home prices are near the national median. Take our Free 10 Question Quiz and let us tell you where you should retire!